In the lead-up to Sacha Baron Cohen’s new Showtime series Who Is America?, few people worked harder to promote the show than Sarah Palin. 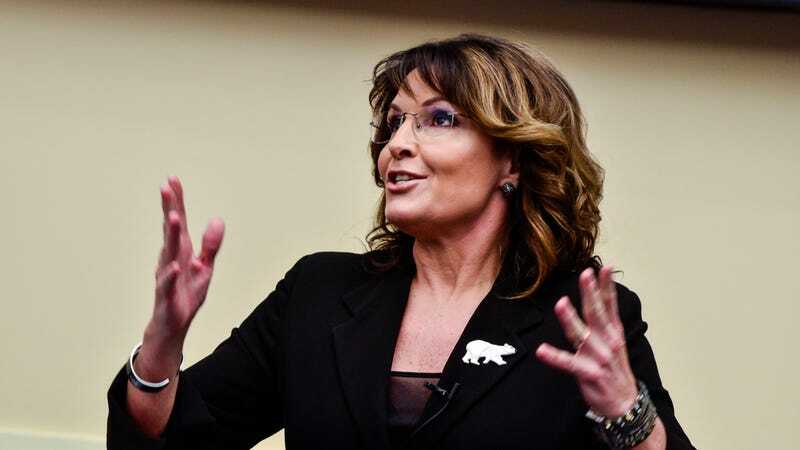 Before we really knew anything about the show, Palin loudly jumped up and declared that she had been duped into a “long ‘interview’ full of Hollywoodism’s disrespect and sarcasm,” and when she realized she was being mocked, she “literally” took off her mic and walked out. She was eager to frame this as a big blow to Baron Cohen, saying he had posed as a disabled U.S. veteran and that he was upset in some way when she left, but he eventually fired back with an in-character response to her complaints and Showtime denied that Baron Cohen was disguised as a disable veteran. In the end, though, it seemed clear that Palin didn’t really care about what had happened, because any opportunity for her to get on TV is worth taking. Now, though, in what could be the ultimate evolution of the Sacha Baron Cohen interview prank, Showtime’s president of programming Gary Levine is hinting that Palin’s interview might not even make it to air—meaning she may have publicly admitted to getting conned for no reason. Levine said at a TCA event that “there are several people who have thrown themselves in front of buses that may not be heading their way,” noting that Baron Cohen is “always refining” the show and has a “very high bar” for what makes the cut in any given episode. Apparently, he even screens episodes for audiences before they air just so he can see what gets a reaction from people. The implication is that Levine thinks Palin’s interview might not be good enough to make it into Who Is America?, which would’ve been a win for Palin if she hadn’t already made such a big show of how offended she was.